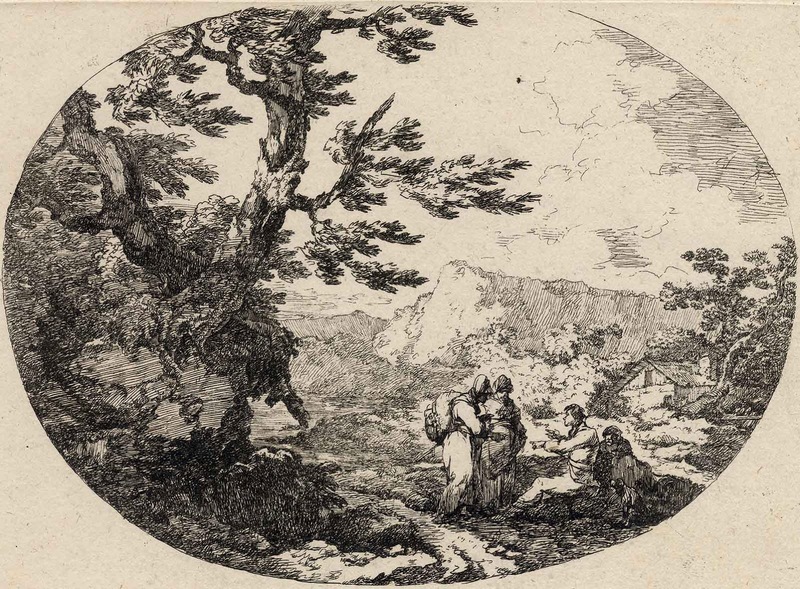 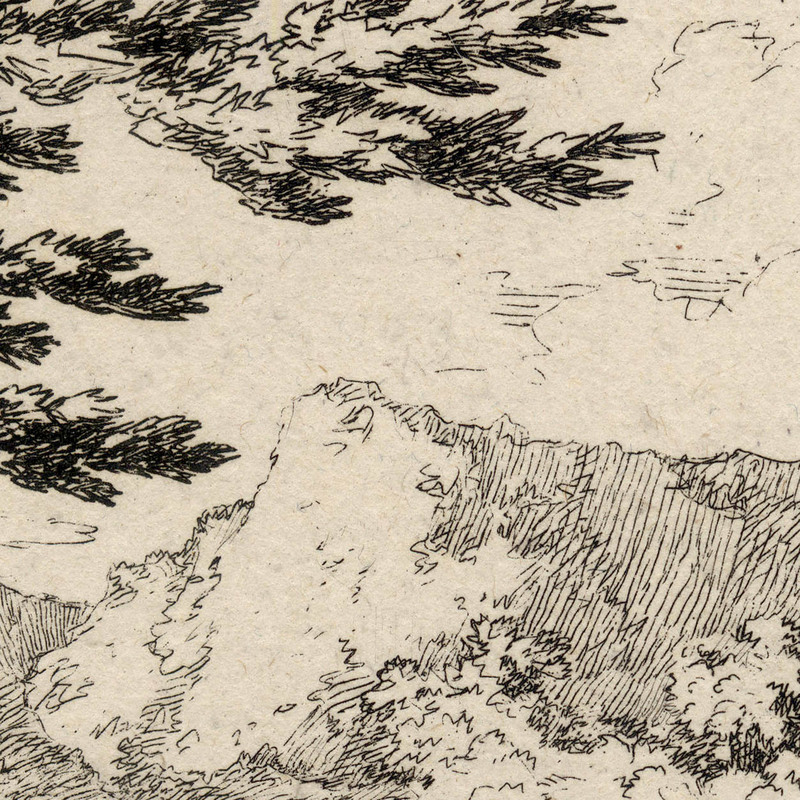 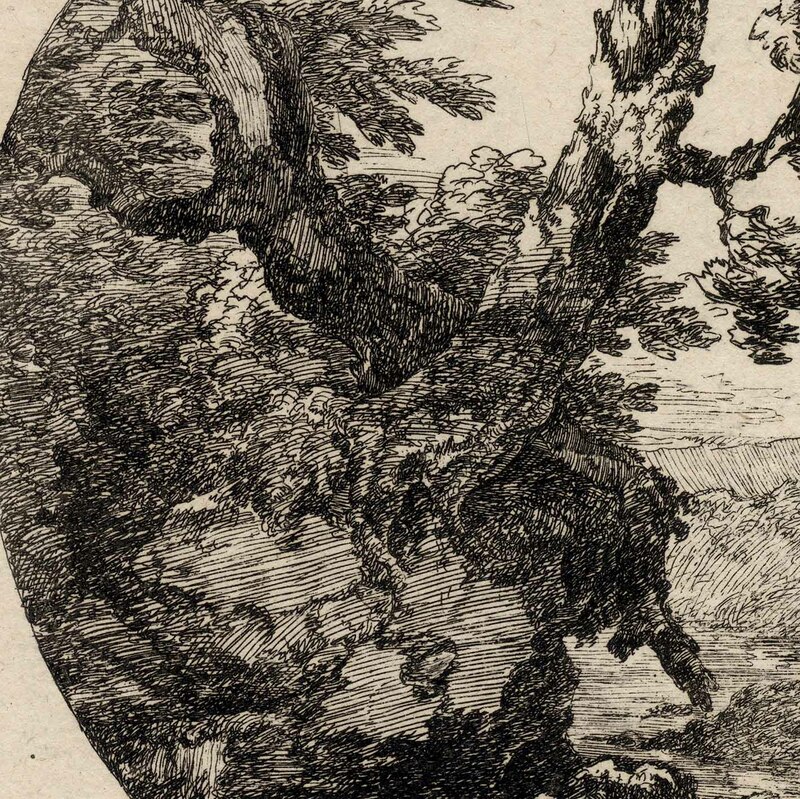 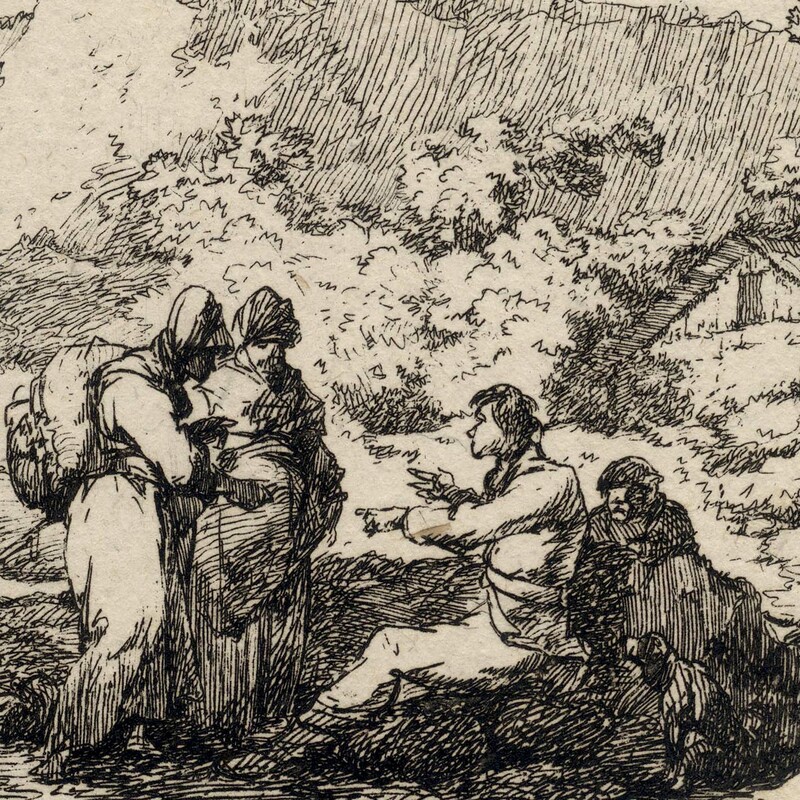 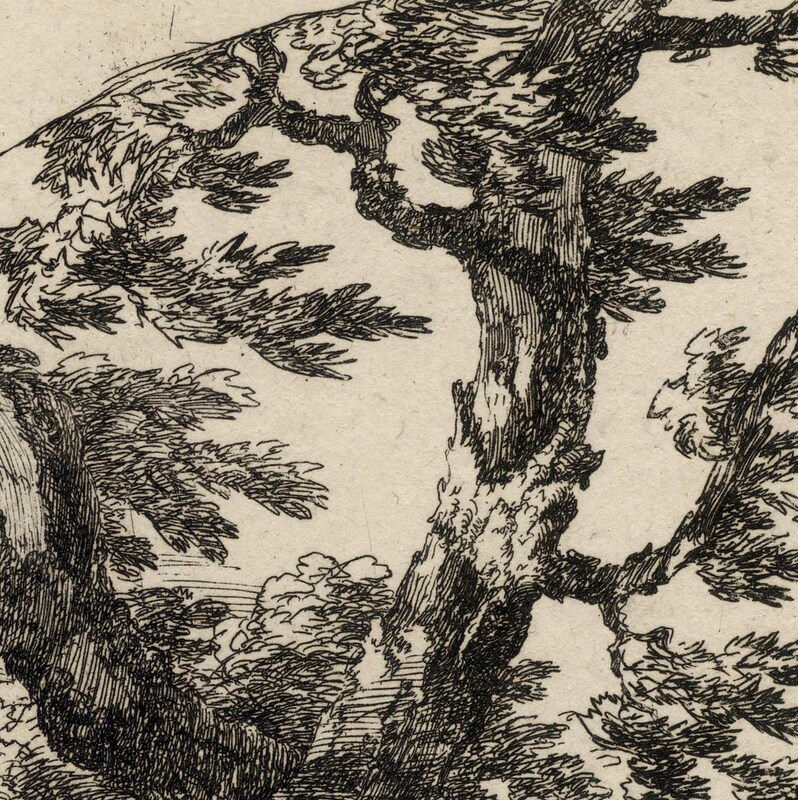 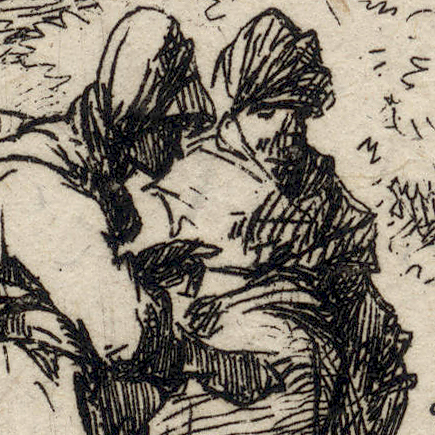 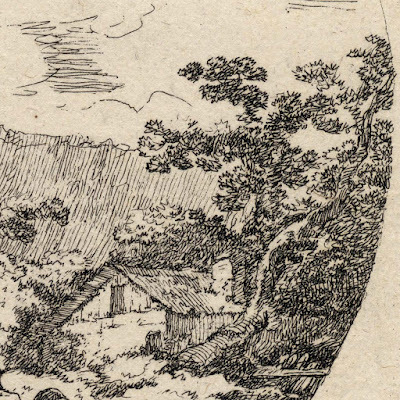 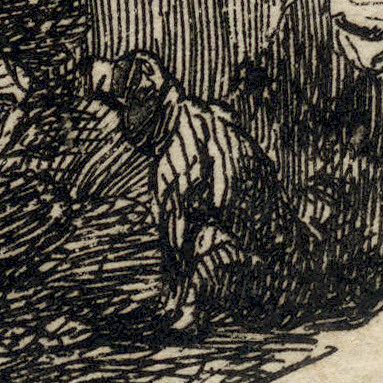 “Landscape in Oval with Travellers Resting”, 1800, from the series of four oval landscape etchings, "Divers sujets de paisages dessiné et gravé par I. Viviers 1800". 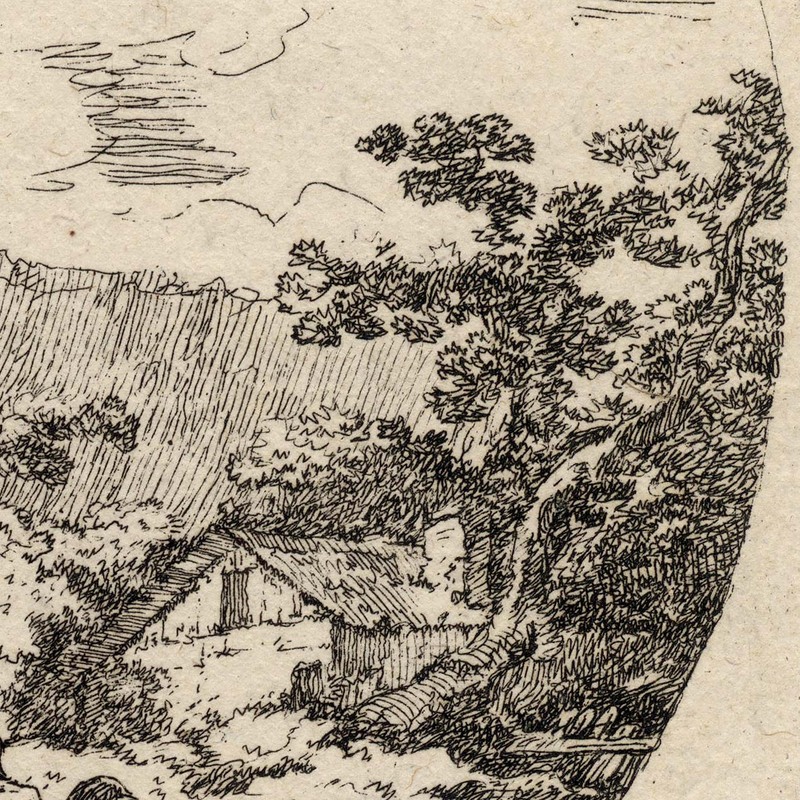 Note: the title page to the series is signed, titled and dated (1800). 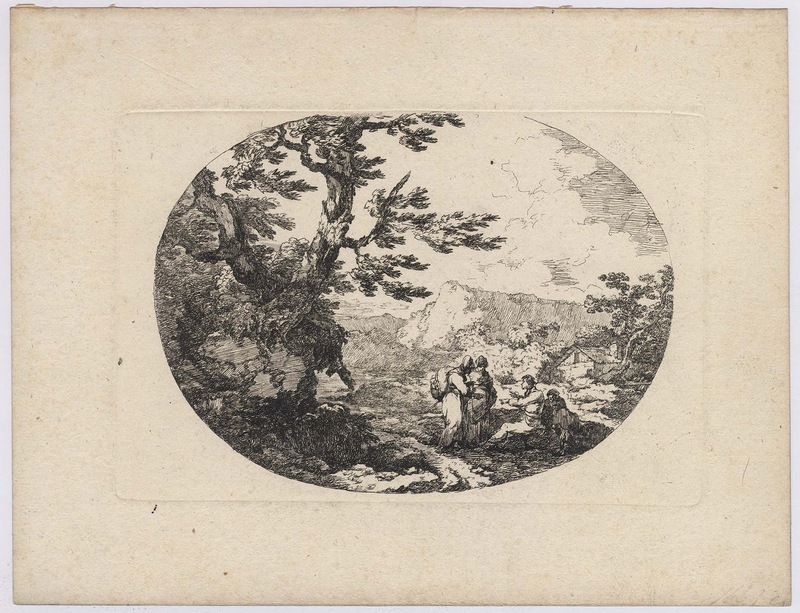 I am selling this very romantic image for the total cost of AU$164 (currently US$118.55/EUR104.22/GBP92.68 at the time of this listing) including postage and handling to anywhere in the world (but not, of course, any import duties/taxes imposed by some countries).